I am excited to announce an awesome contest, made possible by the awesome folks at Walt Disney Studios! One of the biggest films this year featuring the smallest heroes is hitting Blu-Ray Oct 16th (and digital Oct 2nd! ), as Ant-Man and the Wasp comes home! Well, we are giving away one Blu Ray copy, provided by Walt Disney Studios! How do you enter? Keep reading! The summer show-stealer did the unthinkable by topping the first film in every way. On the Blu-Ray, featurettes spotlight Paul Rudd, who returns as good-hearted thief turned hero, Scott Lang, and delivers big laughs both on set and in theaters; Evangeline Lilly, who transforms into The Wasp, the first female character to be featured in the title treatment of a Marvel Studios film; and iconic actors Michael Douglas and Michelle Pfeiffer as super couple Hank and Janet Van Dyne. Viewers can explore more about the visual development artists and effects used to bring the characters to life and drastically alter the size of the Super Heroes and their surroundings. 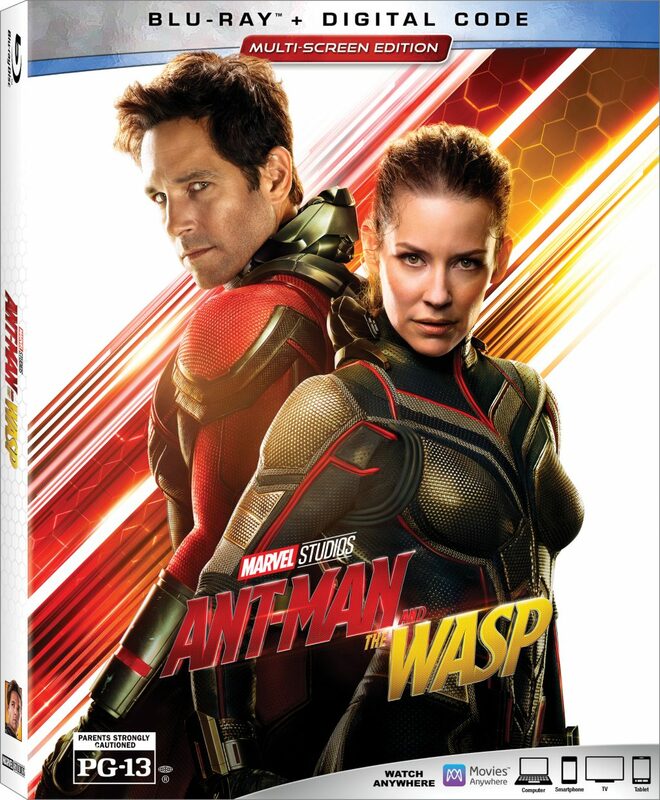 Additional extras include deleted scenes, bloopers, outtakes, and audio commentary by “Ant-Man” franchise director Peyton Reed. How do you enter? Simple! Leave a comment with what your favorite part of Ant-Man and the Wasp is RIGHT HERE on this page!!! That’s it! The contest ends October 7th! No purchase necessary, leave a comment on this page to be eligible! Open to US residents only. The prize will be fulfilled on behalf of Walt Disney Studios. Make sure to check out Ant-Man and the Wasp when it hits digital Oct 2 and be sure to pick up a physical copy on Oct 16th! My favorite part was when Luis was injected with the truth serum. Easily the most hilarious part of the film. I really enjoyed the part when AntMan went to school to get an item from his daughters backpack and he looked like a little kid. I also liked the part with the pez dispenser. My favorite part was when he is having trouble controlling his size and he uses the semi truck as a skateboard. The scene where Scott’s goes to his daughters school wearing the malfunctioning suit. So great! The truth serum scene was really funny. Unfortunately I have yet to see the movie yet!! My favorite part is Luis telling a backstory of his friend Scott after forgettable enemy give his truth serum a whereabouts Scott and his allies. Which totally hilarious that they shocking appear by a ghost. When she left, one of luis’s Friend felt pale, scare, and sing to relax. I have to agree with others. When Scott went to his daughter’s school. That scene was hilarious. Every scene where the miniaturized lab is being pulled around on wheels with the handle. Every time it’s on screen it just tickles the imagination, and my mind would wonder into the deep recesses of the tiny lab, like standing at a tiny vending machine, buying a tiny bag of chips. Weird thoughts like that! Definitely when Scott goes to Cassie’s School!